A lovely caramel brown colour on this double monk strap bleeds to a slightly darker colour at the toe. It also has broguing to the wing tip and a medallion to the toe cap. It is versatile as it works in a formal and a semi-casual setting. The order of the day is the double monk strap. Why bother with laces when you can get a streamline look which is just as formal? Originating from the practical idea that monks needed durable shoes as opposed to sandals that are easy to get on and of, the ever stylish monk strap was born. 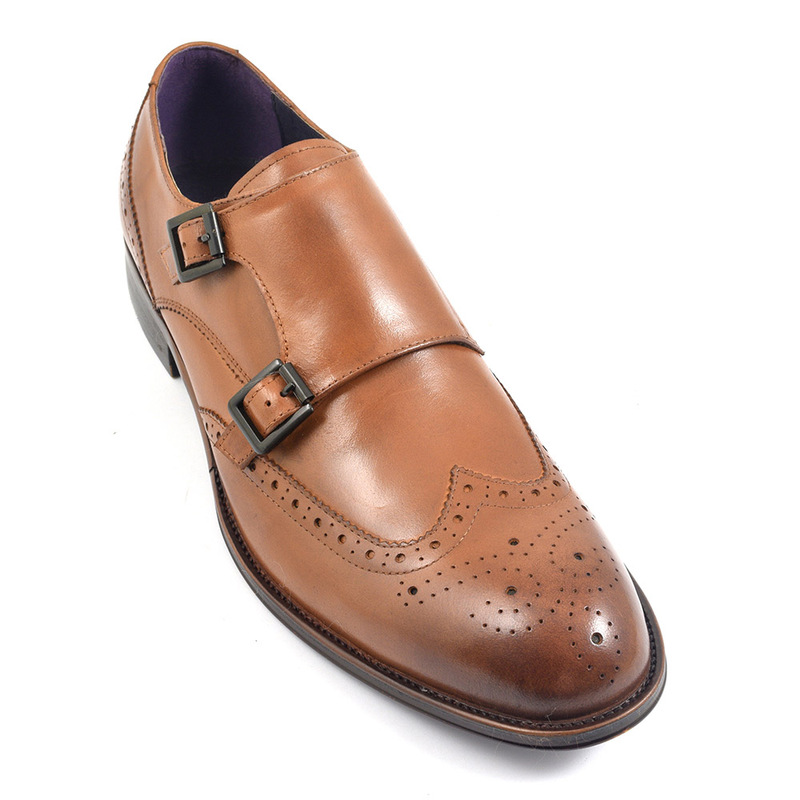 This tan double monk strap has brogue detailing which adds to its character. Again, the humble beginnings of the brogue where workers needed holes to drain off water form boggy marshland have morphed into one of the most stylish shoes around. 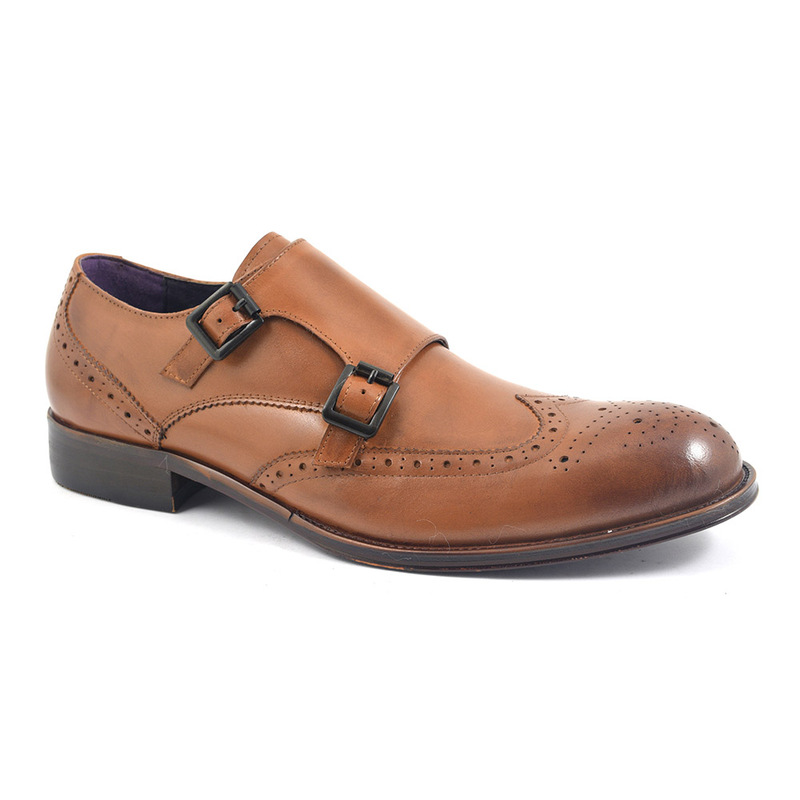 These tan double monks can be worn with a suit but would look equally at home with casual attire too. 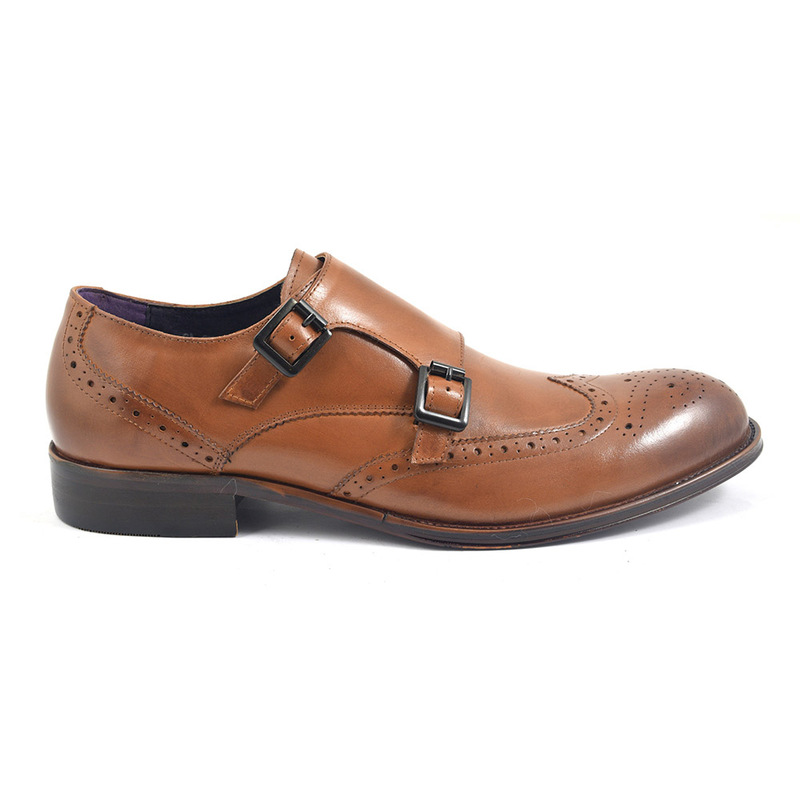 Be the first to review “Zanta Tan Double Monk Strap” Click here to cancel reply.